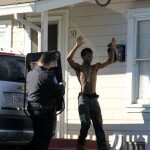 At 8:19 am Wednesday, Antioch Police responded to multiple gun shots at the 500 block of W. 14 Street near Fremont Elementary School where they later arrested three males. Thanks to witnesses and the school, police tracked down the suspected shooter to W. 13th Street where police requested the occupants of the home to exit using a loud speaker and guns drawn. 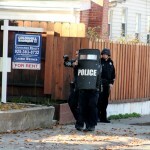 Six subjects exited the home and were detained for questioning. No one was injured during the incident. 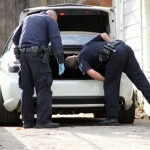 Upon searching the home, police found a gun, narcotics, stolen property as well as a stolen vehicle. A reported runaway juvenile was also located in the house and subsequently turned over to Children and Family Services according to Antioch Police Sergeant Santiago Castillo. The school was also briefly and voluntarily locked down and no students were in danger during the incident. 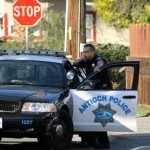 At approximately 0819hrs, Antioch PD began receiving calls of shots fired in the area of F St @ W 13th St. Upon arrival, officers located evidence of a shooting at that location. Witnesses assisted officers in locating the residence where the suspect had fled, in the 500 block of W 14th St.
Officers were able to make contact with six occupants of this house. As a result of further investigation, three people were arrested for various charges including narcotics violations, weapons violation, vehicle theft and possession of stolen property. During this incident, Fremont Elementary School briefly and voluntarily locked down as a safety precaution for the students and staff. 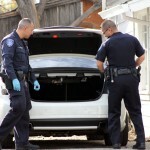 One of the subjects arrested was identified by witnesses as the shooter and a firearm was recovered from inside the house. 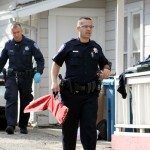 A reported runaway juvenile was also located in the house and subsequently turned over to Children and Family Services. No victims of the original shooting have been located at the time of this writing. Names and/or photographs are not being released at this time as the investigation is currently ongoing. 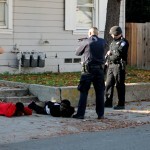 Editorial Comment: Have to give a shout out to “mom” who showed up to the shooting incident on F St. & W 13 in Antioch. First question out of her mouth was “Why are you not in school”. Very nice! The rest we will not repeat. It should also be noted that she was a parent to just one of the people being detained and appears she did not know who any of them were or ever seen them before. 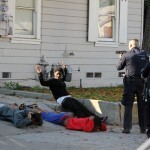 The common denominator of Antioch criminals rings true and proud this Holiday Season! Happy Kwanza you low life thugs. 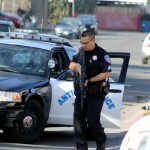 Thank you Antioch PD for taking your job so seriously and keeping us safe with all the naysayers. So glad none of the children at the school were in danger. The children at the school were in fact, in danger. So were all the innocent bystanders and residents around this house. 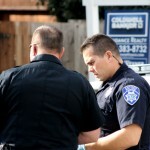 In fact EVERYONE in Antioch IS in danger with these scumbags out in the streets. 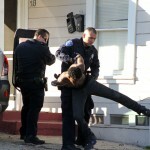 Truthfully, they will be back out in the streets within months because of our lax laws. In the meantime enjoy the fact that they will be behind bars temporarily. Are those boxers with “weed” on them? They are right where they belong then, in cuffs! 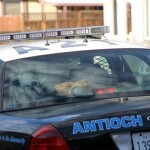 Nice work ECT providing us real news and thank you Antioch PD for doing an outstanding job. Can’t wait until the day you reduce crime to very little. 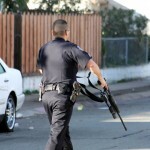 Omg, please tell that officer to take his hands out of his pockets. Good job APD. !!! 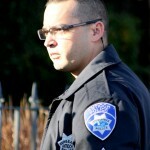 Maybe now the citizens of Antioch will fight for more cops on the streets !!!! 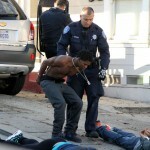 I see the photographer fixated on the shirtless black kid. What’s up with that? Yes Josh I agree. 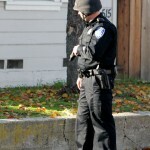 Take your friggin hands out of your pockets APD. It looks real unprofessional when working a case. Other than that, Great Job reducing scum in the city. Great job APD!!!!!! You guys are awesome!!!!!!!! Thank you for risking your lives to keep us safe!!! God bless you!!! Search as many pockets as you want!!!!!! Just get these Obama lovers where they belong!!!!!!!!!! JAIL. Anyone stupid enough to vote for Obama is just plain stupid himself and sooner or later, some go to jail. It is interesting how many people will bring GOD into the picture when they can’t find any other way to deflect the guilt and crimes of murderers, rapists, drug dealers, and the like. My GOD punishes those who wish to due harm onto others, especially harm onto elementary school students and innocent bystanders. I have no idea what GOD your are preaching to.